“I have been using Red Desk for social media and Admin support for a few years now. Red Desk make running my businesses much easier. Whether it is Mel, Lindsay or Jacqueline on hand, the work is consistent, efficient and always on time. I spend little time explaining; they just understand what is needed. “Red Desk provide an excellent value for money service, and I couldn’t recommend them more highly.Brian’s Children’s Shoes of Temple Fortune has been working with Mel and the team at Red Desk for a while now and we are delighted with the creative and informative social media marketing that they provide. “Lloyds Gardens has been working with Mel, Lindsay and the Red Desk team for over a year now and I am in love. Professional, approachable, great communication, added value and integrity is what makes Red Desk the stand out agency. They set up and manage our social media arm. This has brought in business so I know my money is being well spent. 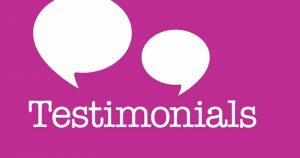 “Jacqueline has effortlessly taken over the day-to-day administration of my accounts, liaising directly with my accountant which is a huge weight of my shoulders thereby allowing me to focus on client work. The service is always efficient, friendly and confidence-inspiring. As an interior designer working by and for myself, Jacqueline also acts as my representative whilst I am away on holiday; invaluably attending site to liaising with both clients and contractors as required to ensure continued progress of projects in my absence. “Lindsay has been helping me with social media consistently for over a year and has got my business off the ground. I don’t know what I’d have done without her. “Lindsay & Mel at Red Desk have been maintaining the bulk of the magazine’s social media output for several years now. They work tremendously hard behind the scenes – they don’t just upload the edits to my blog and send out a bland tweet. They take time to read through (sometimes correcting bad grammar!) and understand the points being made; they also use their talent for writing pithy, witty tweets that resonate and draw people in to find out more.